While in Fairbanks, BJ wrote, performed and recorded with the band Outlaw Women. Weddings, festivals, concerts, conventions for the National Organization of Women (NOW), and even the Governors birthday party, they were 4 part harmony and a whole lot of fun! Before BJ left Alaska to join her husband in the NWT, the OW threw one final concert that filled the house to standing room only. The audience wanted a recording of the final concert. The Outlaw Women – “Wanted” cassette (That old…really?) was recorded mostly live off the floor from that memorable night. The recording has since been digitalized and is still available through Trill Music in Fairbanks, Alaska. First to Yellowknife, then up the Mackenzie River to Norman Wells, BJ continued to write and perform at festivals and community events throughout the north. In 1993 she was selected as one of the “cultural representatives” for the NWT for the Arctic Winter Games hosted in Slave Lake, Alberta, as a finalist in the NWT songwriters’ competition hosted in Yellowknife, and performed at Folk on the Rocks in Yellowknife with Diana Hodgson. (It was a year to remember getting to share “facilities” with Moxie Fruvis, Quartet, Bill Bourne, Whitehorse band Incanu, and the up and coming Susan Agukark!). The fall of ’94 found BJ and her husband (a bag pipe plying, fly fishing, wild life biologist and the inspiration for her song “Field Work Widow Blues”) moving “south” to Dease Lake BC, at the north end of the Cassiar Hwy, and just south of the Yukon border. 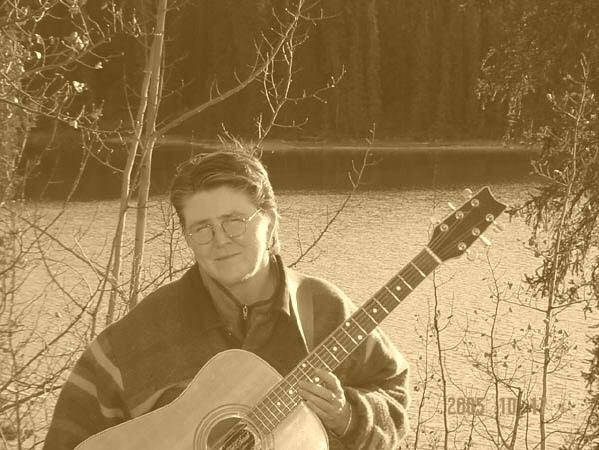 BJ performed at the Smithers Festival in BC, the Alsek Festival in the Yukon, and in 1995, Diana Hodgson of Norman Wells, NWT, performed 3 of BJ’s original songs at the True North Concert in Inuvik, hosted by CBC, and broadcasted on CBC radio and TV (including the beloved Peter Gzowski radio show). In 2002 BJ and crew (The hubby, bag pipes, fly rods, cats, dogs, etc) moved further north again to the “the Big City” of Whitehorse, Yukon. BJ continued to perform solo at concerts, open mics, festivals, fundraisers and community events. She performed for concerts hosted by CBC nationals’ Lorne Elliot “Madly off I all directions” in Whitehorse, and 2 shows hosted by CBC’s Shelagh Rogers show “Sounds like Canada”. In 2004 BJ was a recipient of the Advanced Artist Award to record a demo. She released her solo CD “January Thaw” in 2005. BJ was invited back to Fairbanks to perform for a songwriters showcase, recorded live and hosted by US National Public Radio host Mike Flynn, for his show “Folk Sampler”, which broadcasts from the Ozark Mts. of Arkansas. On her CD “January Thaw”, the final song is a live recording from that show. The audience response to “Plump & Friendly” was just too fun to not be included in her first release! BJ’s songs have been selected for Yukon Women in Music compilation CD’s (both local and National juries), including one produced by Lynn Miles, and Music Yukon compilation CD’s. She has recorded back up vocals for local musicians Kate Weeks, Steve Slade, and Brenda Berezan. 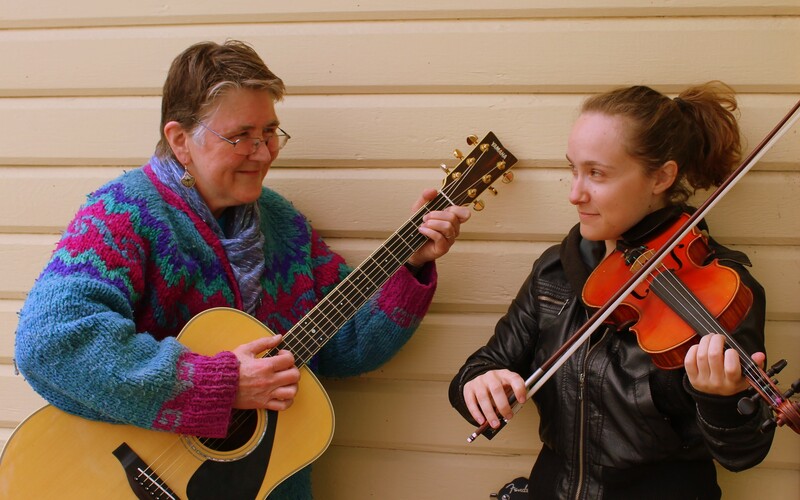 BJ currently performs with the band “Sisters of Evolution”, as the duo “Fireweed & Flannel” with Keitha Clark, the Kim Beggs Trio with Kim Beggs and Susan Arenburg, and Crooked Folk Irish sessions band. In 2014, BJ and Keitha Clark recorded their original works on the CD “Fireweed & Flannel – Tunes from the Campfire”. The CD is a sample of original songs, fiddle and Clawhammer banjo tunes. In November of 2016, Fireweed & Flannel were thrilled to be the opening act for the Frazey Ford concert at the Yukon Arts Centre! Also in 2016, BJ fundraised and produced the Cook Shack Sessions, a first time collaboration between Yukon Women in Music, Yukon Tourism, and Yukon Parks to provide a series of free acoustic concerts in the Yukon Territorial campgrounds, and is currently gearing up for the 2017 summer sessions. She was also selected as an Artist in Residence for the first annual Keno Music and Arts workshop, teaching workshops during the day and performing each evening. She has been selected again for the Keno 2017 project, and will be touring the Yukon with Home routes in March of 2018. “Northern with a twist” is how BJ describes her music…a combination of folk, bluegrass, country and even a little classical. She writes from the heart and has consequently won the hearts of listeners and artists of all ages and genre’s. If you like sitting around a bonfire while the northern lights dance, closing your eyes and being transported, through music, to a place that touches the soul, you will appreciate BJ MacLean’s writing and performing style.